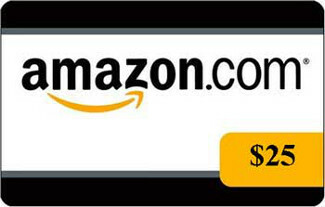 Here’s your chance to win a $25 amazon.com gift card in celebration of my redesigned http://www.tracyfobes.com website. Subscribe to my newsletter by midnight EDT on Friday, August 22, 2014 to be entered into the giveaway. One lucky newsletter subscriber will be chosen at random and notified on Monday, August 25, 2014. Open to new and existing newsletter subscribers who are residents of the US only. One entry per person. Entrant’s contact information will remain private and will not be shared. Please remember to Like my Tracy Fobes and Georgina Sand Facebook fan pages.